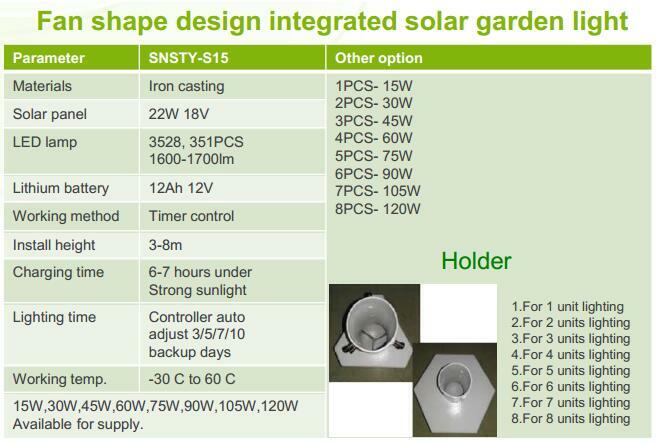 6W-120W All in one integrated solar garden and street light for public square, plaza, courtyard, garden, park, street, roadway, pathway, parking lot, private road, sidewalk, campus, airfield, farm & ranch, perimeter security, wildlife area, military base etc. 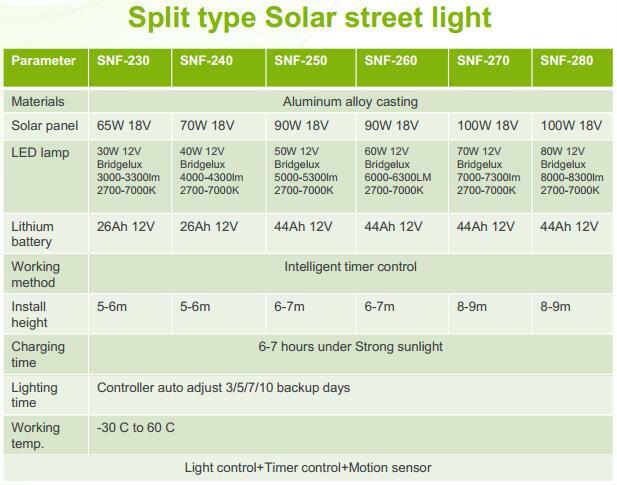 The integrated solar street light is an intelligent outdoor lighting system that integrates the best energy saving parts---solar panel, led lamp ,sensor, controller and lithium battery all in one box. 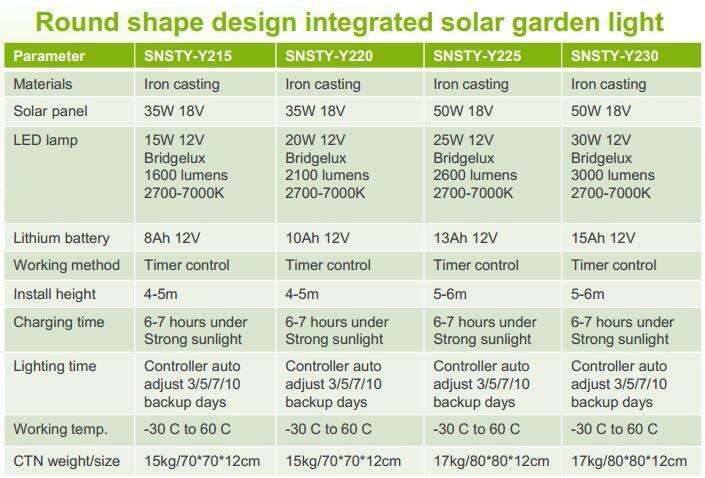 During the day the highly efficient solar panel collects energy from the sun and stores the power in the advanced lithium battery. At night the powerful Led would automatically be turned on providing light. When motion is detected, the Led would increase in brightness to provide an abundance of extra lighting for anyone in the area. After 20 seconds or when motion is no longer detected, the light drops down in brightness to conserve power. 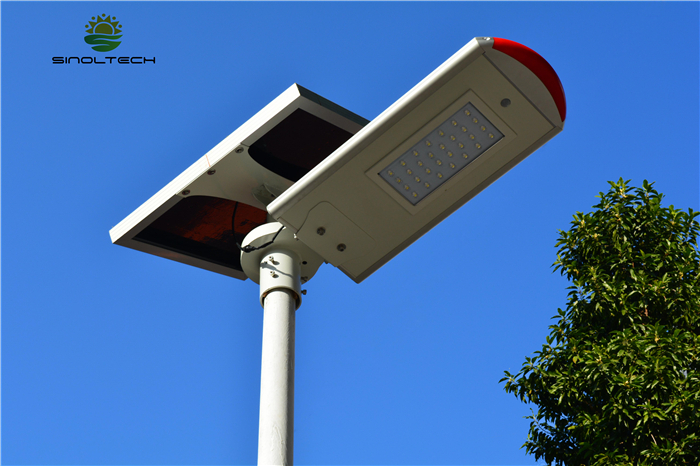 This intelligent feature allows the solar powered street light to save power when no one is in range or utilizing the light, meaning a much longer run time than you would expect from a similar size solar lighting. 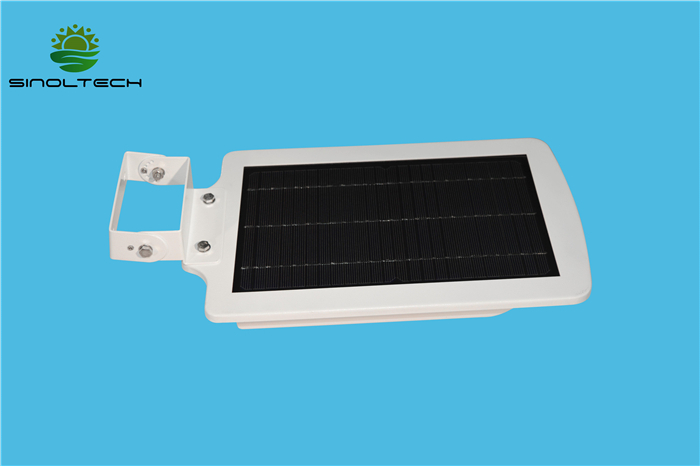 integrated solar modules and automatic controller,motion sensor. b. Easy to install and maintain, without cables,without equipped with special poles, functional components of a modular design, installation, maintenance,more convenient and more quick. 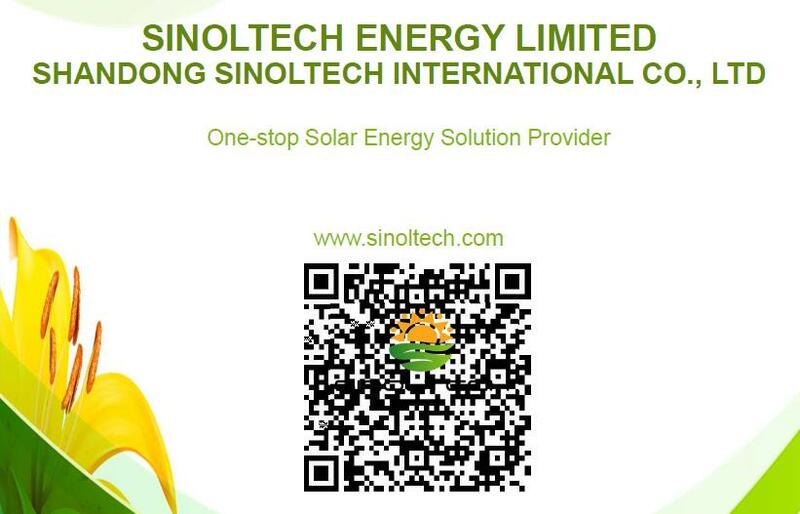 c. Using solar power systems, pure green energy, inexhaustible,optimal energy for environment. d. High-capacity lithium-ion batteries, high energy, long life, light weight, green environmental production, does not produce any harmful substances. e. Using LED light source, no diffuse effect, with a high light efficiency, coupled with a unique secondary optical design, exposure to the wider region, to improve the efficiency of light once again. 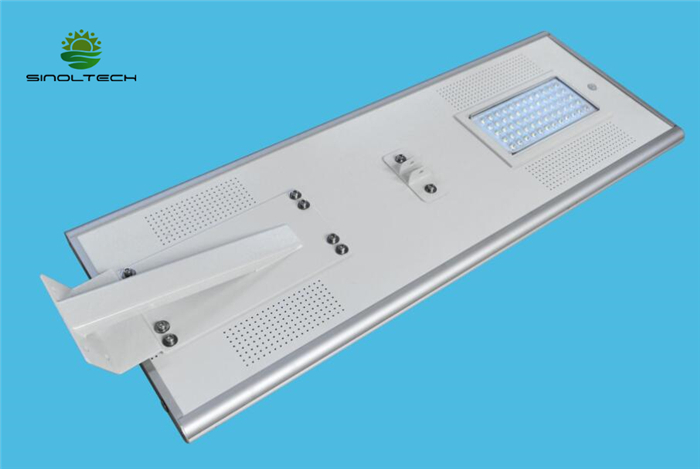 And the LED light source has a long life, high luminous efficiency, light color uniform and other advantages, also the best blue green products. g. Control system uses industrial-grade components manufacturing, adapt to harsh environments, and ensure to bright all the night. How to choose the best suitable products? a. 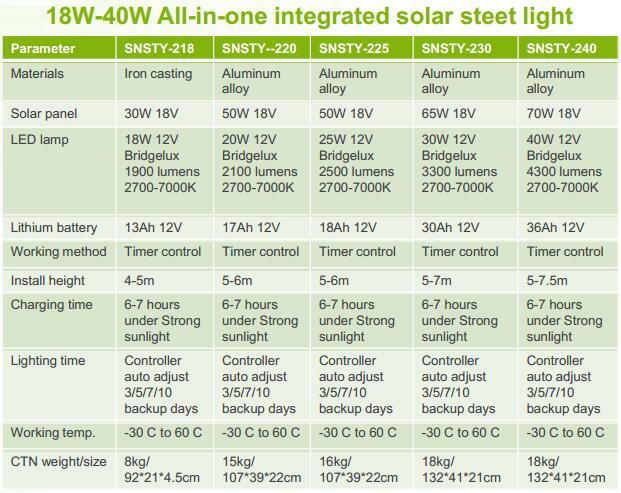 Installation height 7-10M: normally select SNSTY-230, SNSTY-240, SNSTY-250, SNSTY-260, LED power are 30W, 40W, 50W, 60W characteristics are high brightness, high power, a wide range of lighting. Ideal for school sports, docks, ports and other places or width of 15-25 meters of road. b. 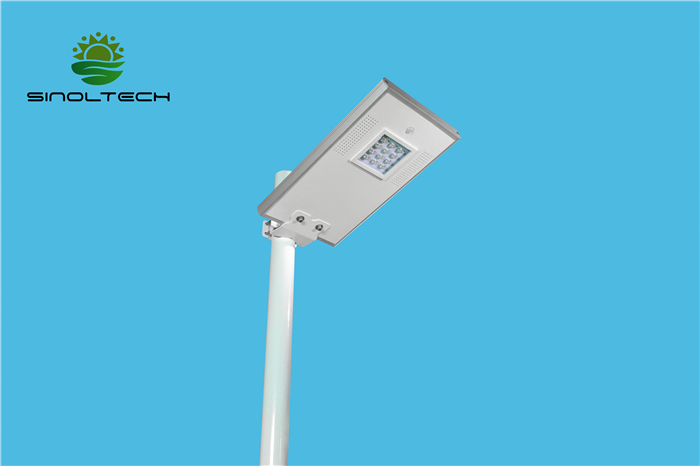 Installation height 5-7 M: normally select SNSTY-215, SNSTY-218, SNSTY-220, SNSTY-225, LED power are 15W, 20W, 25W characteristics are brightness, medium power, lighting range is suitable for rural, residential, parks. schools and other sidewalk or road width of 10-15M. 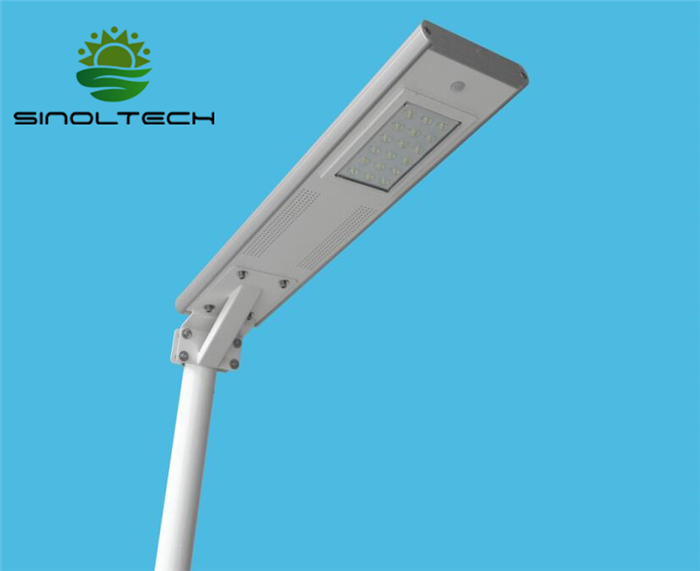 c. Installation 3-5M height: normally select SNSTY-208, SNSTY-212, LED power are 8W, 12W, characteristics are low power, cost-effective.suited for rural roads, roadway, residential,garden,or road width of 2-10M. 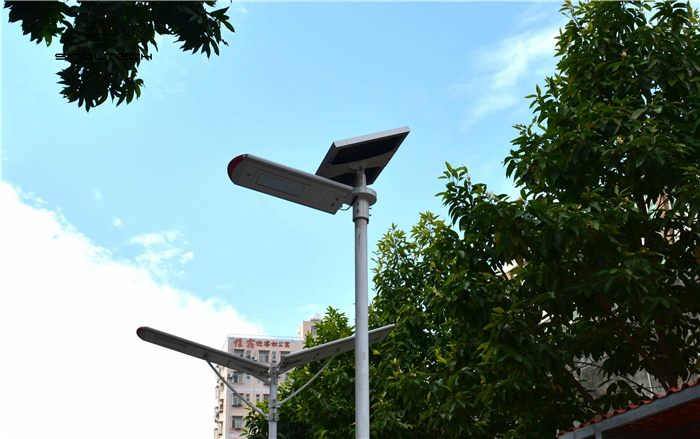 1.Cellphone Bluetooth APP connect with street lamp build-in controller, exchange data mutually. 2.Loading controller operation data and display on APP page, including controller works normally or abnormally, charging or discharging, current battery capacity, voltage, solar panel voltage, etc. 3.Enable to turn on/off lamp. 5.Enable to reset needed rainy/cloudy days(3/5/5/10 days), so as to adjust corresponding lamp brightness. 6.Enable to reset needed dawn operating data. Such as open or close dawn lighting, set the dawn/dusk lighting duration. 7.Enable to reset needed lamp lighting on postpone time. settings once incorrectly set programs. e.Related technicians could adjust controller details in engineering mode. 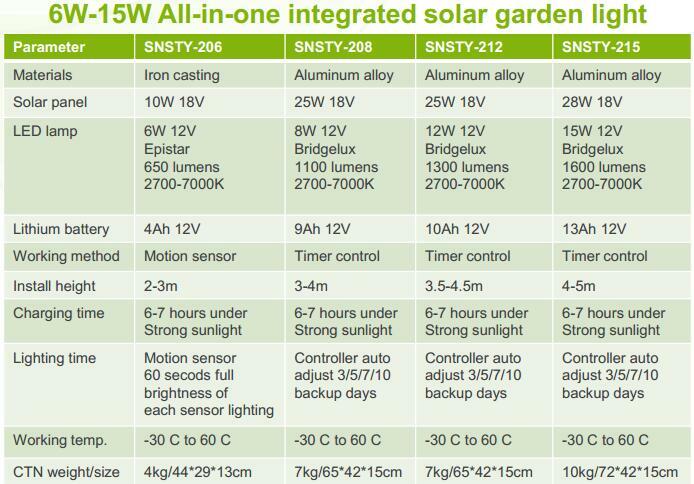 We offer 3 years product warranty for integrated solar garden/street light(including components), starting from the date of sales. Defect component will be replaced free of charge under the condition that this defect is not caused by any human factors, including but not limited to: rough operation during transportation and installation, improper way of mounting. Regarding the products which have exceeded warranty period, we will provide replaced components at cost price. 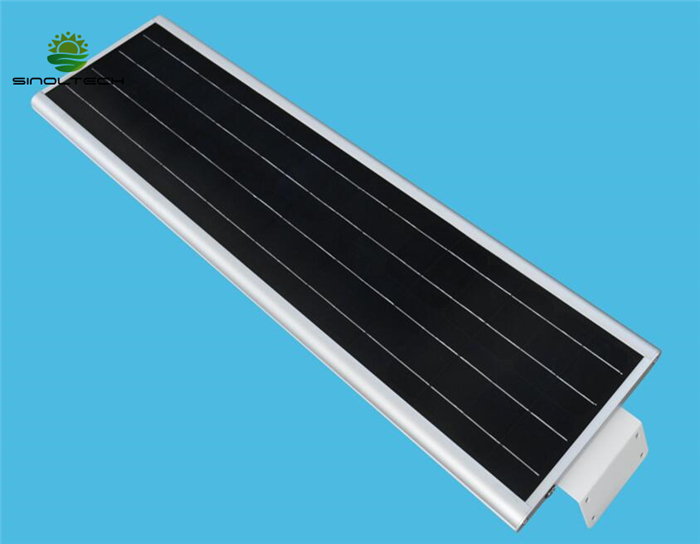 Replacement parts include: LED lamp, Solar controller, Battery, Sensor, Solar panel, Screws & Cable, etc. 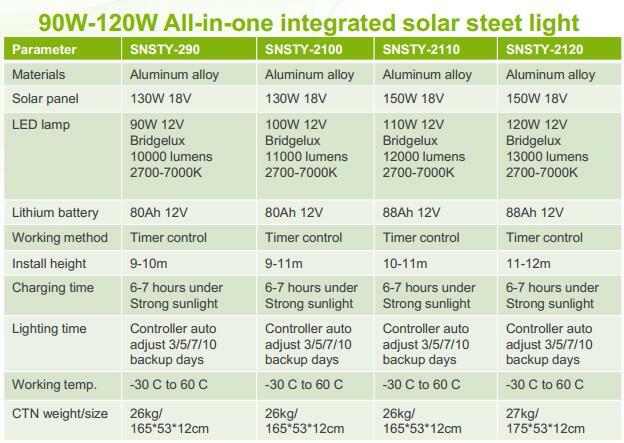 PLS CLICK HERE TO DOWNLOAD FULL PRODUCT CATALOG FOR ALL IN ONE SOLAR STREET LIGHT. 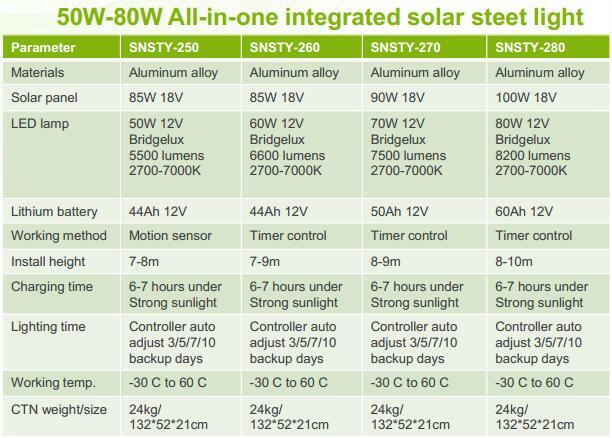 PLS CLICK HERE TO DOWNLOAD APP MANUAL FOR SINOLTECH ALL IN ONE SOLAR STREET LIGHT.